By Caz | March 25, 2019 | This post may contain affiliate links, which means we may receive a small commission, at no cost to you, if you make a purchase through a link. Read our Disclosure. Bring out every superlative on the planet and you still won’t do this state justice. 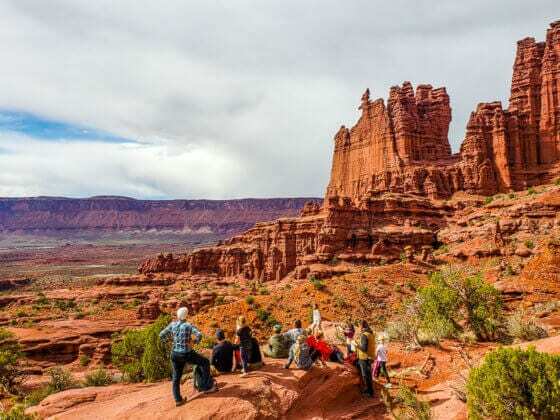 It’s why we’ve chosen to spend at least 5 weeks in Utah! I can’t get enough of the colors in God’s Art Studio. Not only that it’s full, and I mean, full of epic outdoor adventures and memory making opportunities. 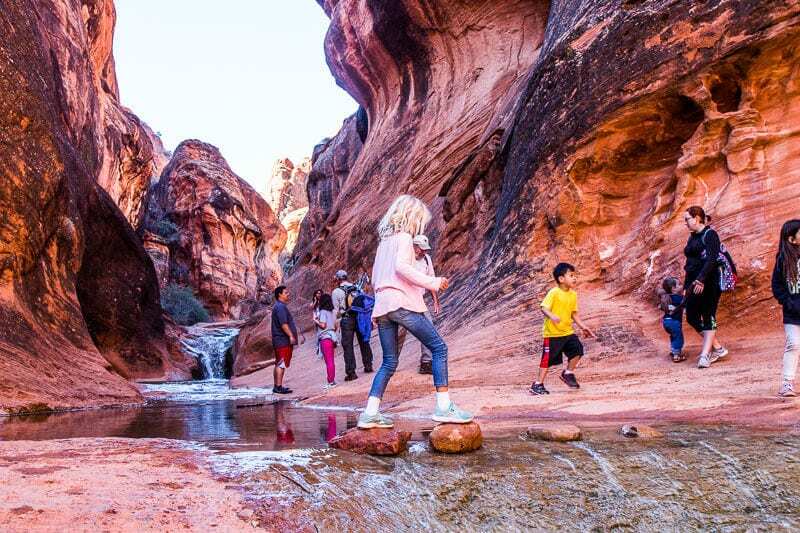 The girls racing to the Zion Visitor Center to get their Junior Rangers Program so they can start learning about the park. Enthusiastically stating that this was by far the most fun ever when we climbed up and around the small waterfall to explore the slot canyon. 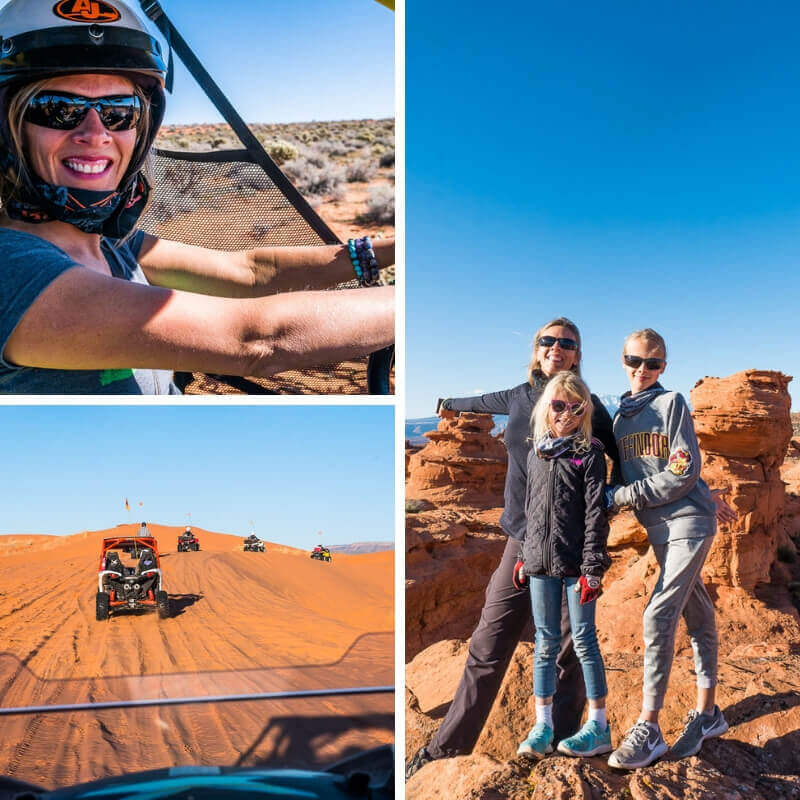 It turned into the best day ever racing through the sand dunes for four hours upon a sunset ATV jeep tour. 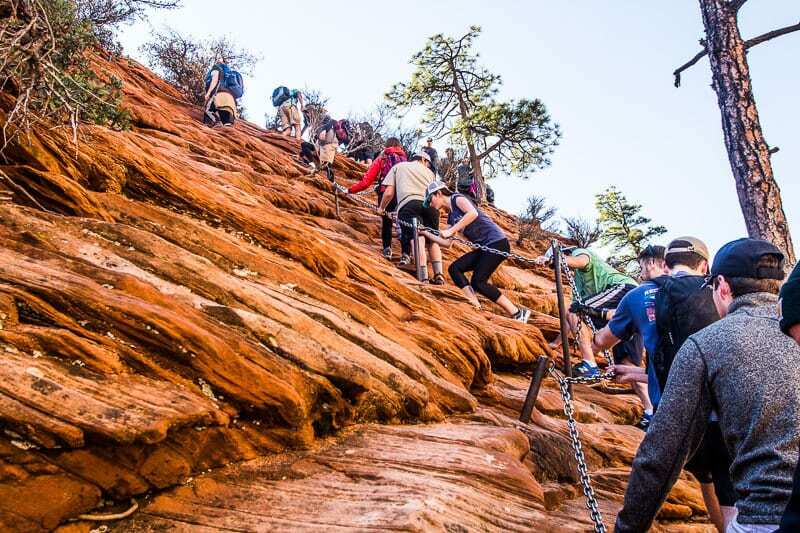 And then the epic and intense Angels Landing Trail in Zion. I think I might get the girls to write a story about that one! 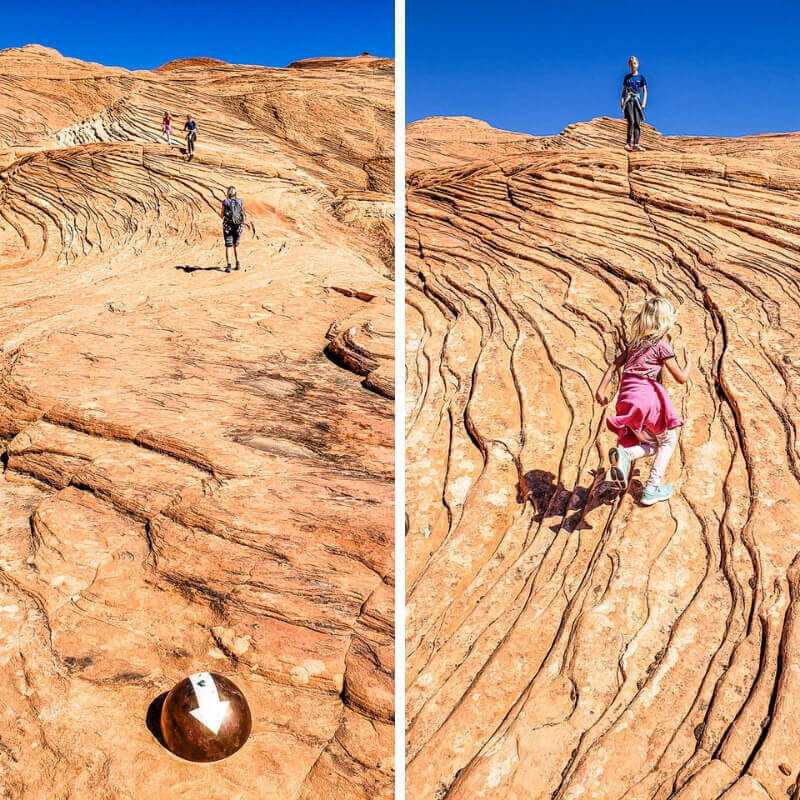 I never would have attempted anything like these adventures at their age. Through it, I’m learning more about my girls and feeling so in awe of them. 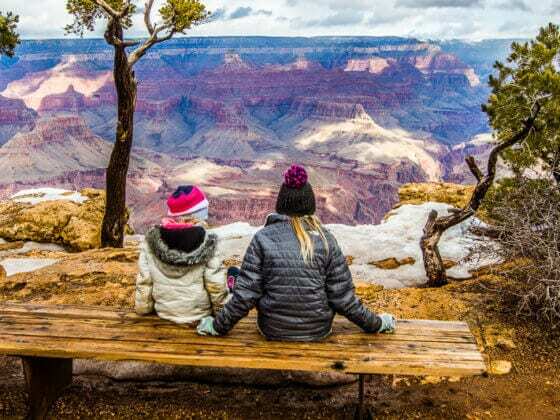 When we allow our kids to spend time in nature, to stretch their comfort zones, to test their bodies a little, they learn just what they are truly made of and how powerful and capable they are. The strength, confidence, courage and pure joy they are displaying will serve them so well in life. I’m treasuring these moments. I couldn’t imagine how I would know my children if we didn’t travel like this. I feel as if they’d almost be strangers to me as these quality moments would be so much rarer. They’d be interrupted by so much stuff: school, appointments, schedules and routines. Although challenging at times to be with them 24/7, when we experience these adventures together and I can be part of their journey and watch them grow, I realize what an absolute blessing it is. I also want to take this time to thank YOU for reading our updates each week. I’m getting many messages about them which feels my heart with joy. It takes me several hours to put these posts together, and my greatest fear is that no one will read or find benefit out of them. But you do and I am so grateful. Keep the email messages coming as it inspires me to keep writing. If you are not part of our special VIP email tribe community, click here to join. It’s free! 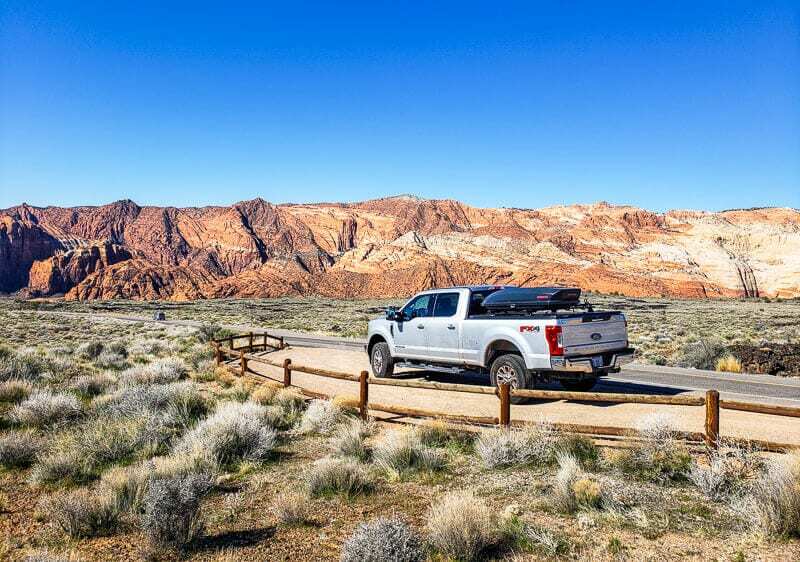 This week 16 wrap up of our USA road trip shares our adventures from Saturday to Friday. St George is a great jumping off point for outstanding natural beauty. We didn’t even scratch the surface and I’d love to return another time to visit many other places. 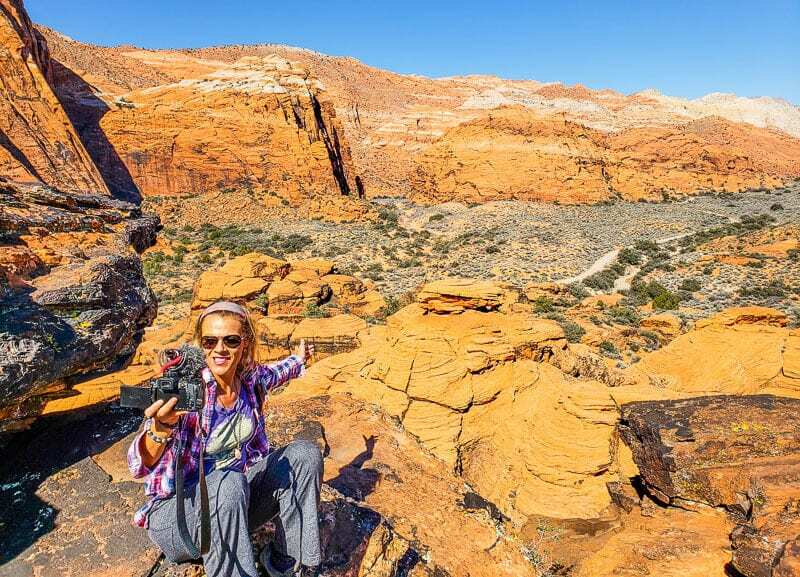 Savannah claimed the Red Reef Trail in the Red Cliffs National Recreation Area as the most FUN trail of our entire trip. 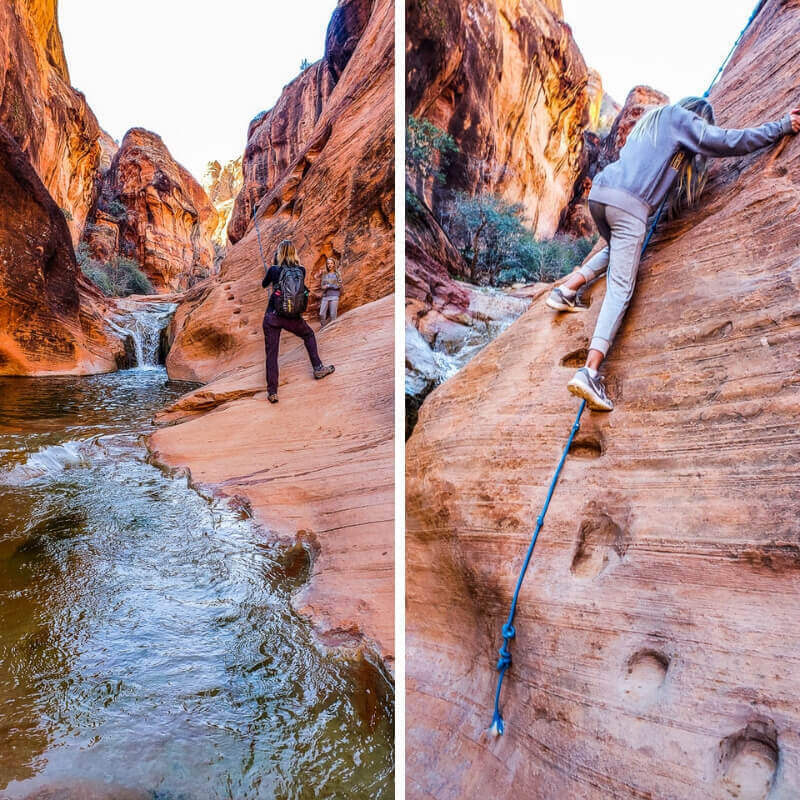 It hikes up to a slot canyon, the fun part scrambling up rocks beside the river and navigating around the small cliff side using the small footholds and a rope to stop you from plunging into the icy water. We soon discovered how icy that was when we arrived at the slot canyon and had to wade through it. We didn’t get too far! That magical adventurous and red morning was followed by an equally magical adventures, yet orange afternoon in the Sand Hollow Canyon State Park. If you want to be wowed by the colors of the rainbow you must come here. We had the orange of the sand dunes, dotted with green desert shrubs, surrounding a clear blue lake with snow capped peaks in the background. 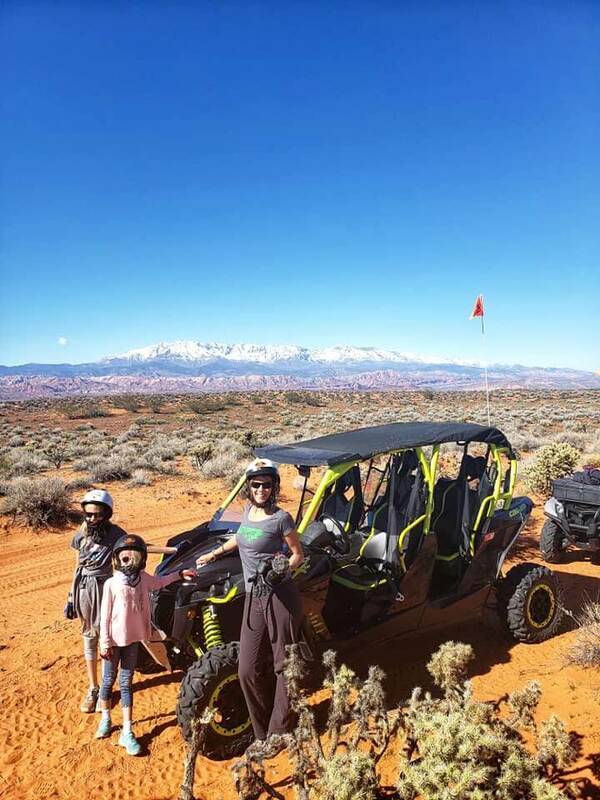 There was no better way to explore it than in a side by side ATV! 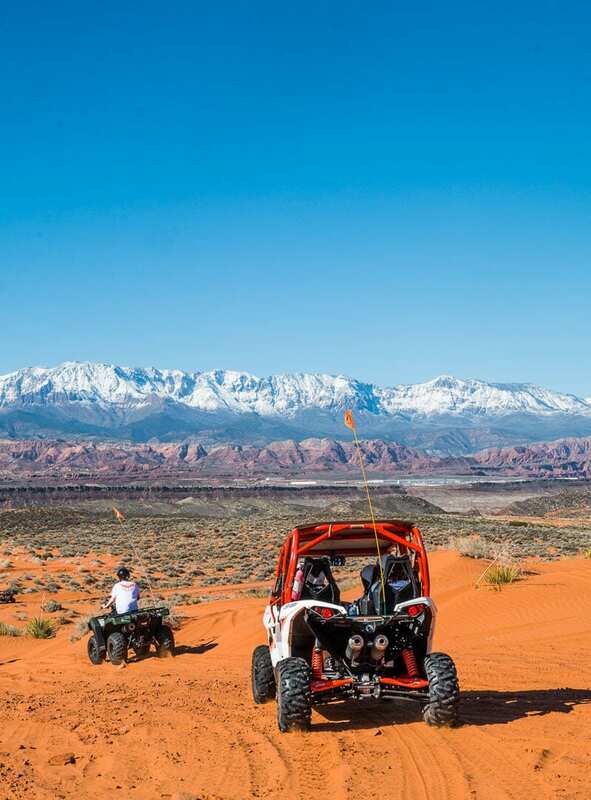 We were hosted by ATV Jeep & Adventures on their four hour sunset tour. It was our first time doing it, and although the girls were a little frightened at the beginning, they were whooping after about 5 minutes and even sat in the front. I loved how they encouraged me to power up, manage my fear, and race up the top of the steep hills that slightly terrified me. 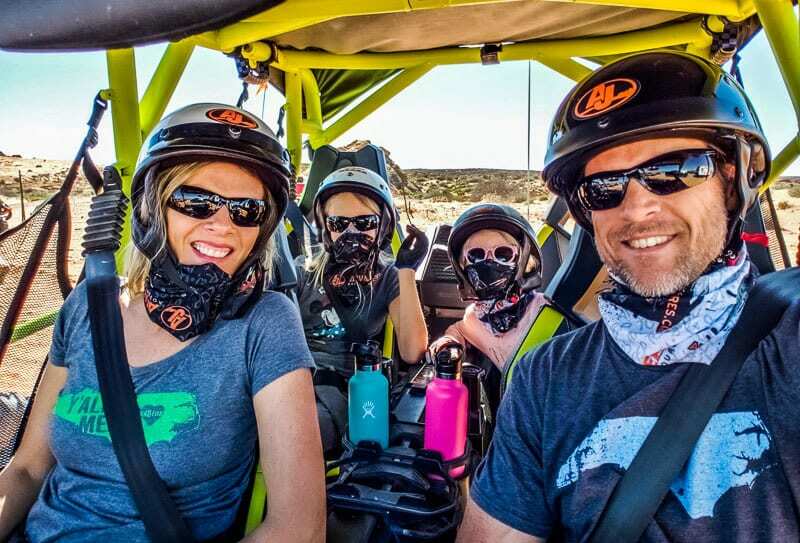 This is an outdoor adventure your family will remember forever! You can book a tour here. 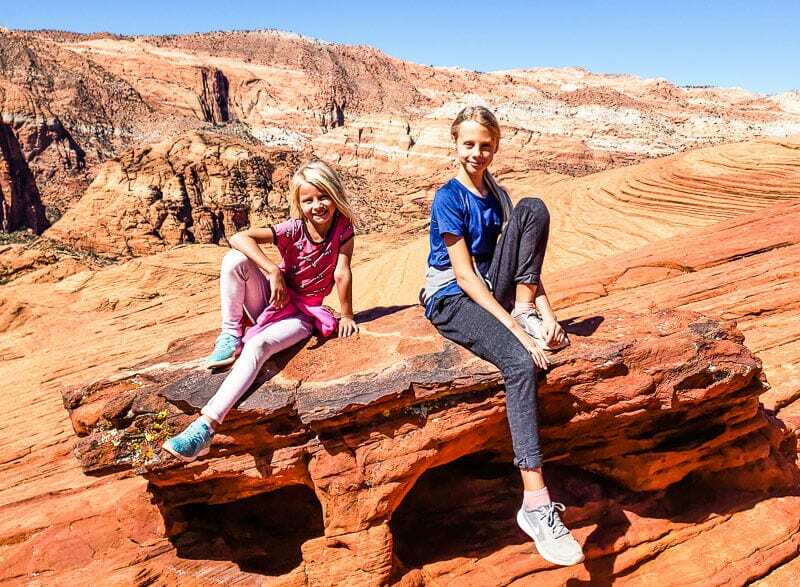 We finished off our time in St George exploring the spectacular Snow Canyon State Park – as beautiful, unique and precious as any National Park. 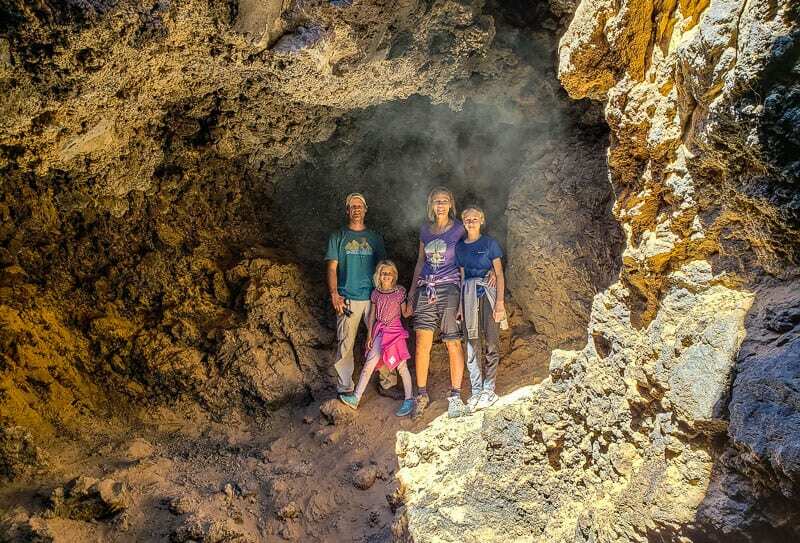 The highlights were definitely soaking up the views on the Petrified Sand Dunes trail, running and playing over the abundance of petrified sand dunes and the girls getting a good visual and understanding of how they were once sand and the wind ripples were soon frozen into rock, and exploring the lava tubes that were created when a volcano erupted here 27,000 years ago. In St George, we also discovered the Creamery, a crepe place that has a wide variety of delicious savory and sweet crepes and even offer gluten free versions of them all. We were so happy. Their coffee was pretty good too. 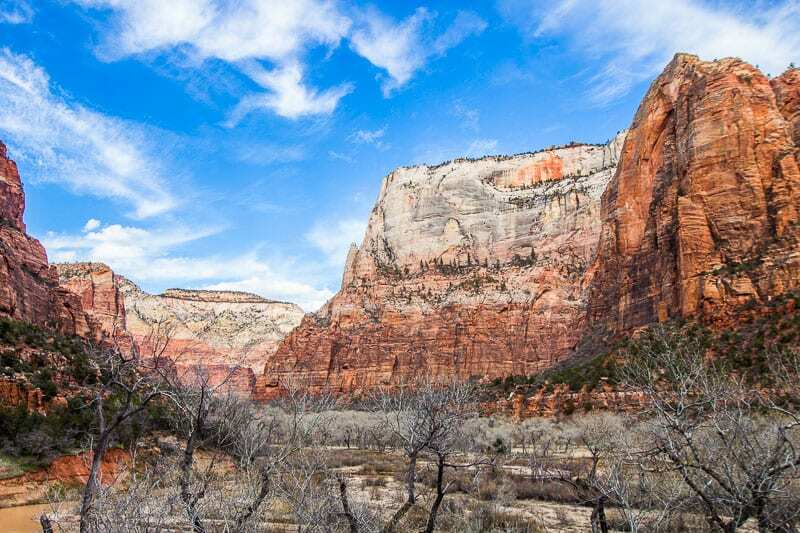 Zion National Park is one of the most beautiful in the USA. It’s also one of the most popular. 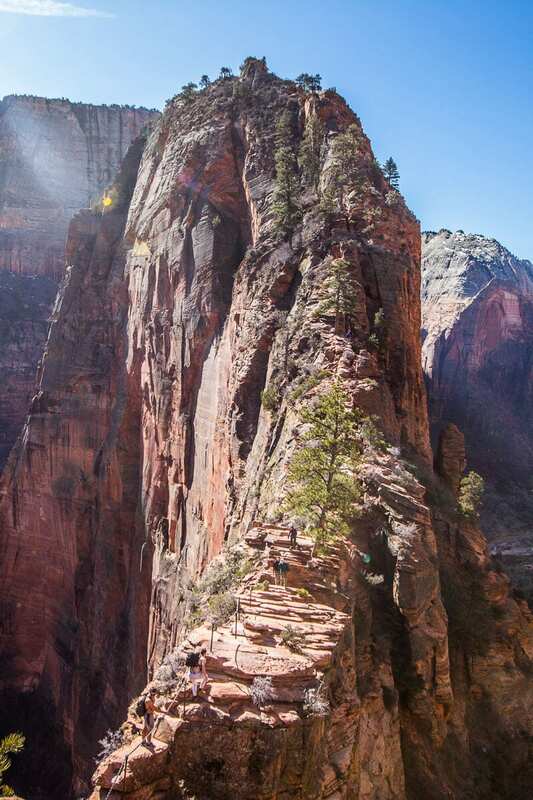 It receives over 4 million visitors a year and is the fourth most visited National Park. You feel it at Zion as you’re in a narrow canyon. There is only so much space for all the people. 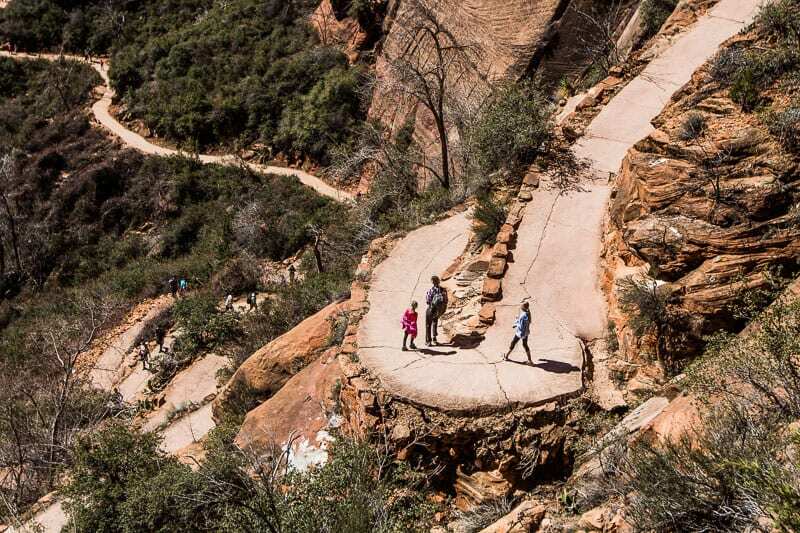 While it wasn’t too much of a bother around the majority of the park, it was at Angels Landing, which is an intense and dangerous hike on a day when you have the trail to yourself. I was stunned at the difference in people compared to when Craig and I did this trail in 2006 and had it practically to ourselves. I discovered as well that we did it in the busiest time of the year so it wasn’t like Spring Break was just bringing in more people because summer is the busiest time. I can’t imagine it getting any busier. I really believe the park needs to permit that hike. It’s far too dangerous and I’m stunned there are not more deaths. If found it exhilarating and fun in 06, this time I was terrified. Not just because of the crowds (who were actually well behaved, orderly, and helping each other) but because we were doing it with the girls. We only made it to Scouts Landing, which is what Craig and I did last time. But that was enough. 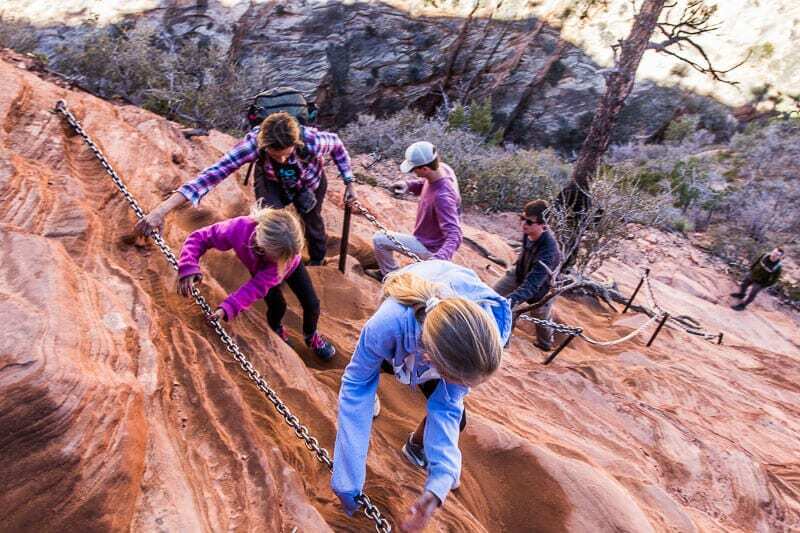 Hanging onto the chain on a narrow sandy ledge as we shuffled around the mountain side with nothing but sheer drops behind us was terrifying. The girls were fantastic – so strong and confident and in control. Me as Mumma bear was a shaking mess thinking they were going to fall and knowing we could not turn around as there were hundreds of people behind us and it would only make it worse. We had to keep on going. I’ve never felt so relieved when we finally got off the dangerous bits and could just relax back down the switchbacks. I tell ya that’s a hike you’ll never forget. 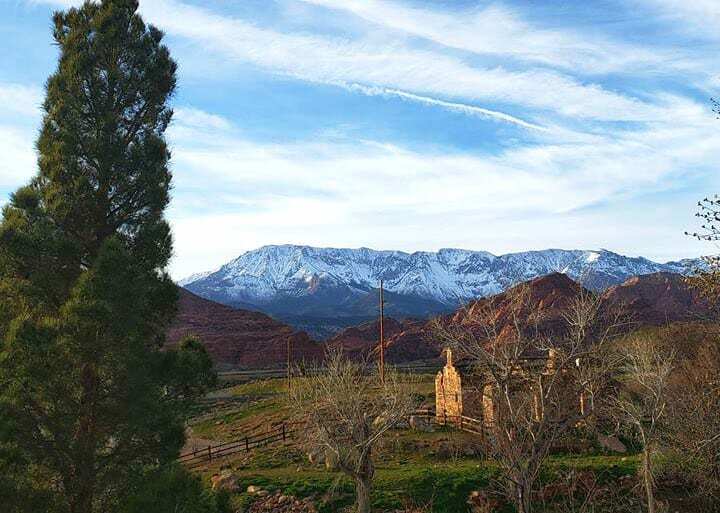 The views are extraordinary – even better in the summer or later spring when the leaves have grown back on the cottonwood lining the Virgin River below so you get the vivid greens, reds, pinks of the canyon. 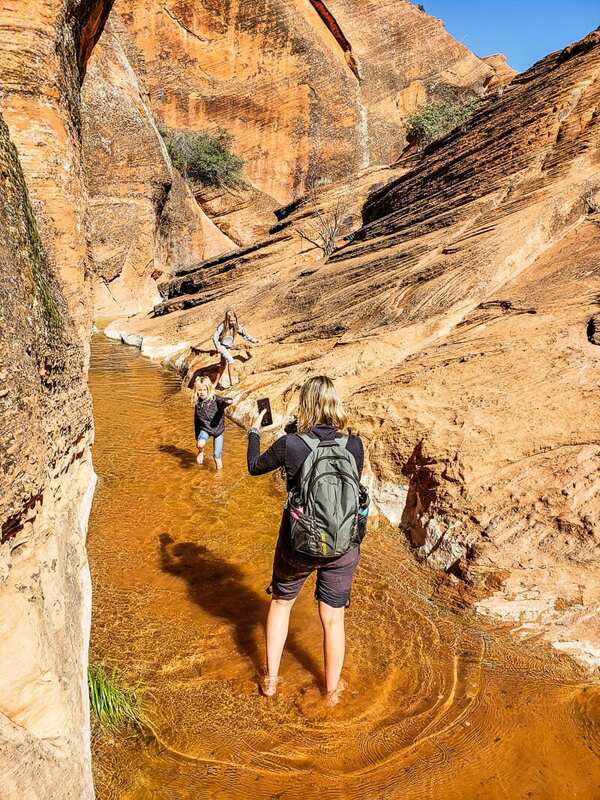 It was also not possible for us to do the Narrows, one of my favorite hikes ever. 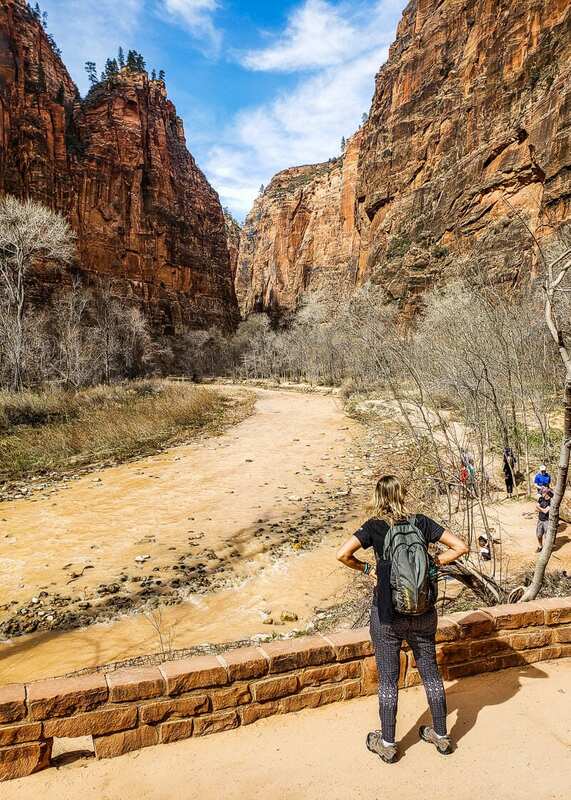 It’s wading up the Virgin River as the sheer canyon walls narrow in on you. 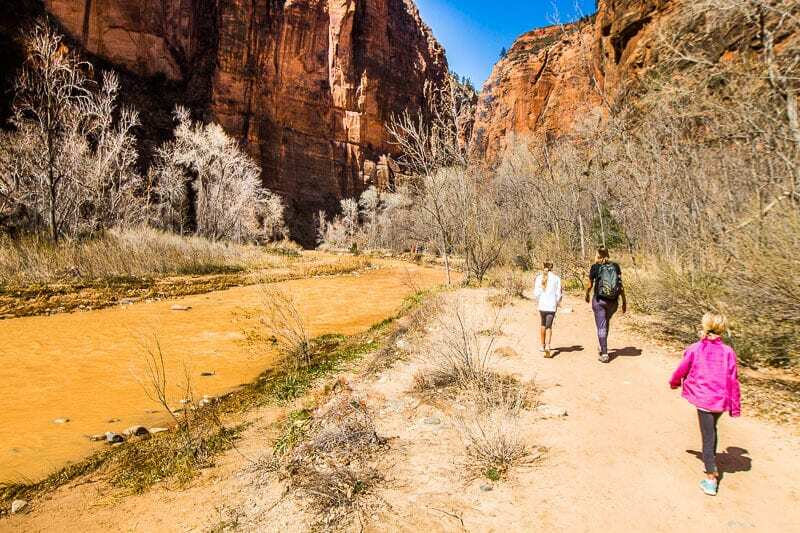 Being that Zion has received record rainfall this year, and the snow was starting to melt, the Virgin River was high and fast making it too dangerous to take the girls and susceptible to flash floods. Instead we enjoyed the Riverside Walk which took us to the start of the Narrows walk so we could get a look at it. 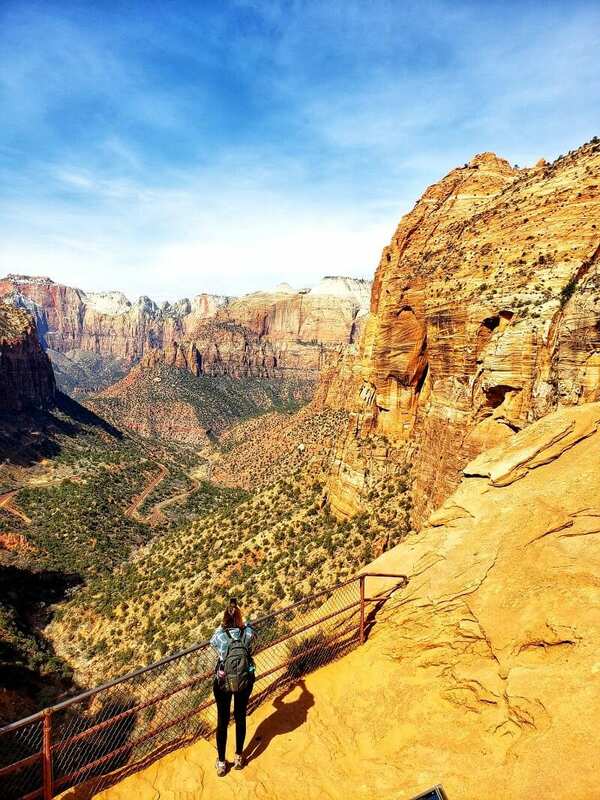 We did a couple of other great walks – weeping rock, Lower Emerald Pool (the upper was closed) and Canyon Overlook, which is on the other side of the Zion-Carmel Highway Tunnel. 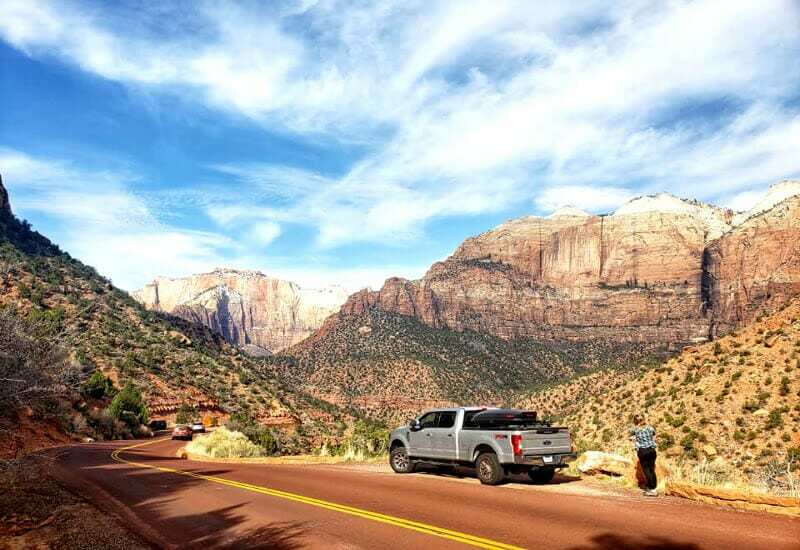 We highly recommend taking this scenic drive through the eastern part of the park. It is stunning and very different to the rest of Zion as it’s higher up and more orange in color, like nearby Bryce Canyon. This week was true disaster – blocked toilet. Apparently, we’ve been using the wrong toilet paper! We googled a few solutions, one of them being hot water down the toilet which seemed to do the trick alongside a lot of plunging and grossness. We’ll be getting a new supply of toilet paper in Vegas. Kudos to Craig for taking care of that mess. Keeping an eye on weather is really important. We were able to quickly rearrange our plans for hiking in ion to dodge the rain. As a result, we had 2.5 days of gorgeous weather to hike and the last day to spend in the van catching up on work while it rained all day. Utah has some strict alcohol laws. We had to go to Buffalo Wild Wings in St George to get a Guinness for St Patrick’s Day. The town had no real pubs or bars. You can only get beer at supermarkets. For wine and liquor you have to go to the liquor store. Why is wine any different to beer? I understand liquor but why can’t you get wine at the supermarket. But to be honest, in Australia you can’t buy any alcohol at the supermarket. It’s all at the liquor store. The liquor store is not opened on Sundays and closes at 6pm on Saturday. AND if you are at a bar or restaurant you can only order alcohol with food. 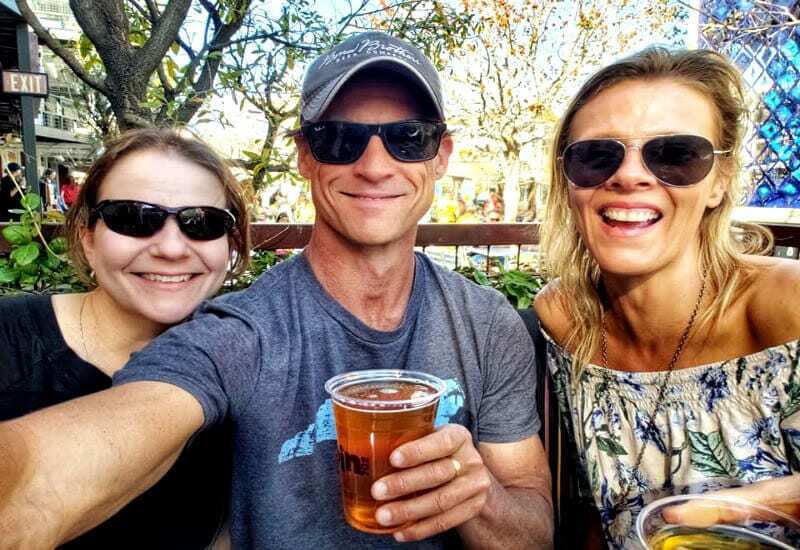 Thankfully, our friends crazy Family Adventure warned us for some of it and I ordered a case of wine from Thrive Market to help us get through the month of April with them!!! We’ll also stock up in Vegas. It’s not like we’re partying every night, but I sometimes love to have a glass of wine with dinner so it’s nice to be able to easily grab it when you want it. We didn’t really like this campsite. It was kind of drab. But it had nice mountain views. It was also in a pocket where we could get little phone and Wi-Fi service. Which was painful since we had a bit of downtime to catch up on work. This may not be important for you. It is for us. The only way we can maintain this full time travel lifestyle is to work as we travel. WIFI is important. Our time to work is super limited so it can be a frustrating par of our travels, when those two things can’t match up. 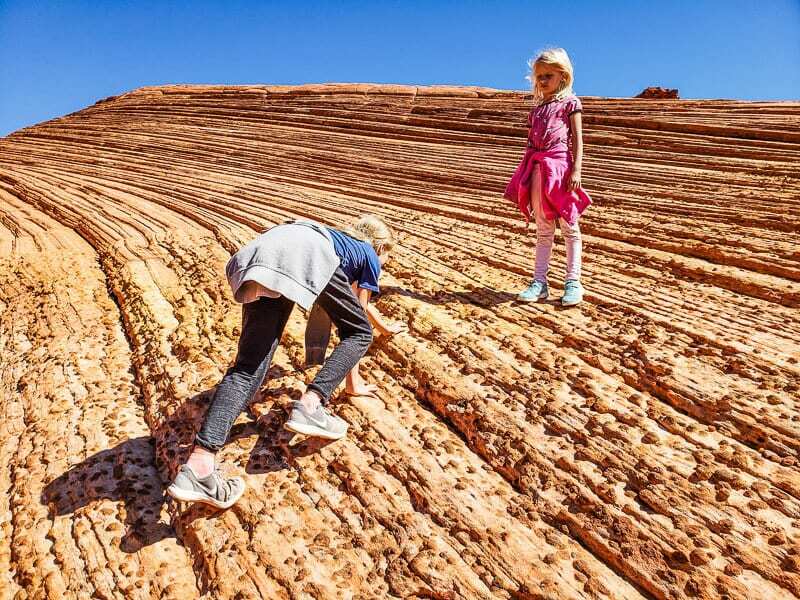 Other than that, its location was good in that it was right across the road from the Red Cliffs National Conservation Area. The KOA was also about 20 minutes outside of St George, we weren’t’ fussed with St George so were okay with not being near it. The showers here were clean, warm and powerful. I really liked this campsite. 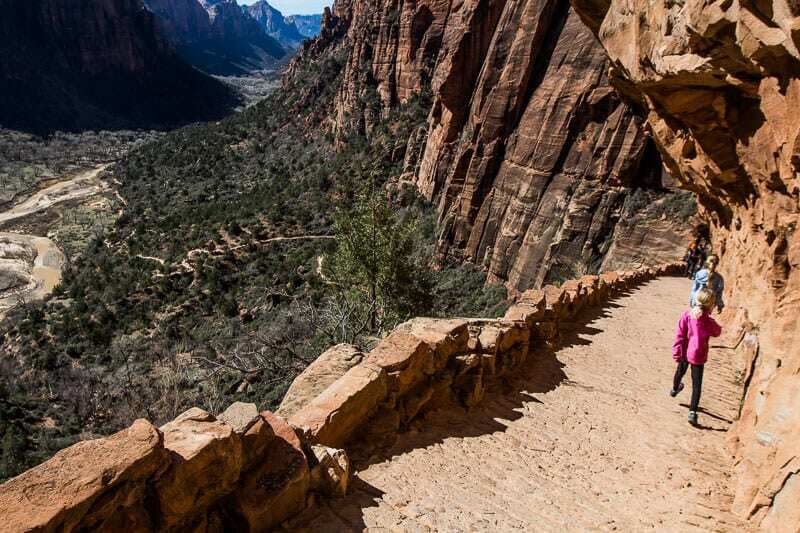 It was situated half a mile from the entrance to Zion. 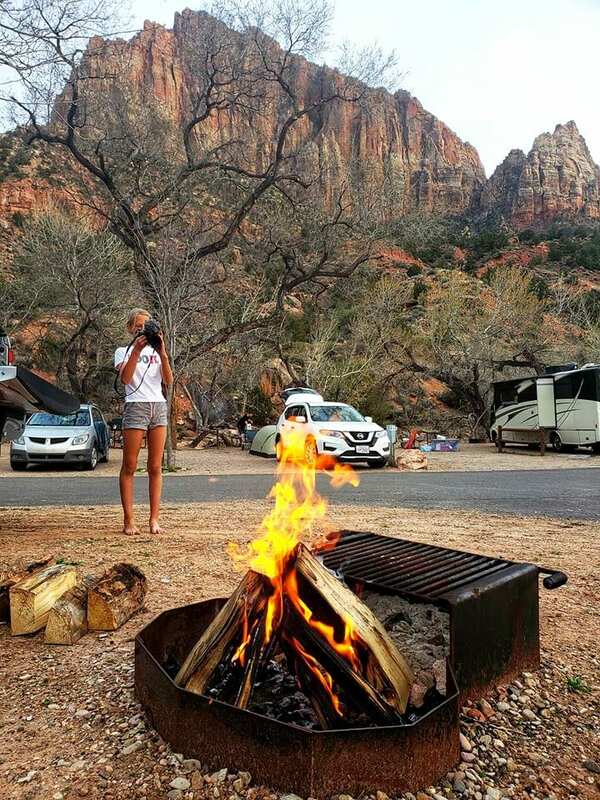 You will have to book way in advance to get a campsite in Zion. There are walk ins but I didn’t want to risk it. 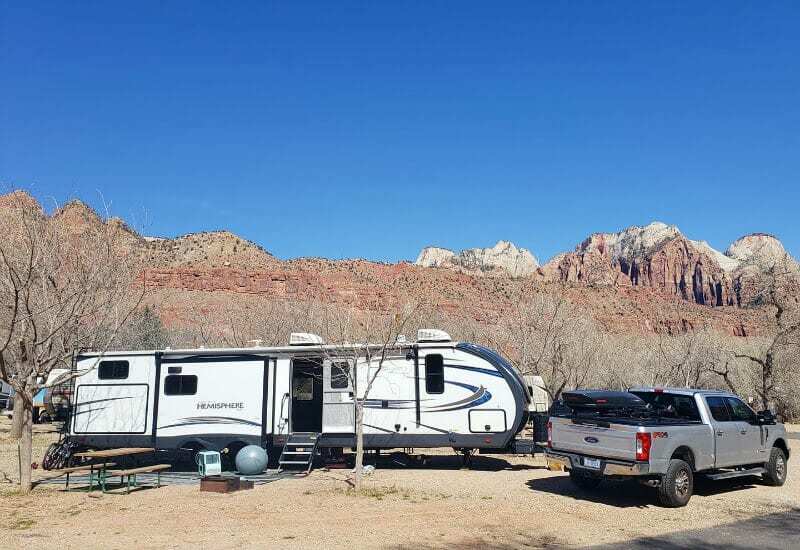 This RV campground is on the river with the sheer red rock face of the Zion mountains in the background, There are plenty of trees around which will provide loads of shade in the summer. We could have campfires and there was plenty of space for the girls to play and our site was spacious. I loved how it was a mixture of RVs and tent camping. It’s one of the first time I felt like I was proper camping in nature. There was a beautiful relaxed energy here. The Wi-Fi was fast and phone service excellent. The showers were powerful and hot. It is a token system but one token gives you an adequate six minutes. You’re in the desert so respect the water. 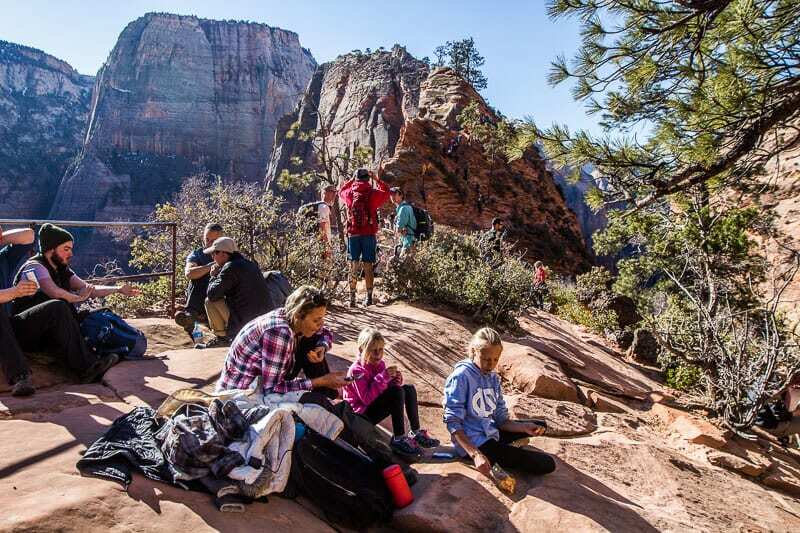 Zion National Park would have cost us $25 for a 7 day pass. 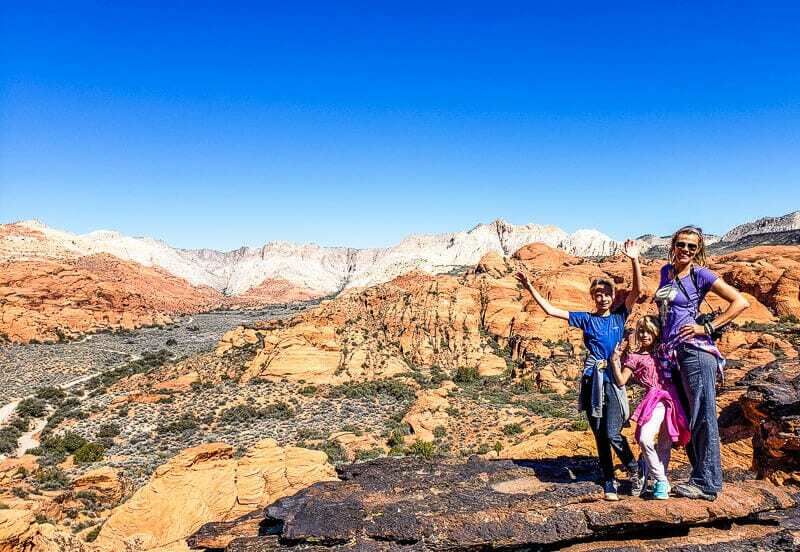 We have a National Parks Pass which gives unlimited access to federal lands. It costs $80 a year. It’s absolutely worth it for a trip like ours and saves us hundreds of dollars. Coming under budget this week!! Yeah. It helps to be out in the wilderness with no temptation. We did purchase a generator for $843, which I’ve not included above as it’s a one off price that I don’t want to skew the weekly costs. Can you believe we’re back in Las Vegas!! We have friends flying in from North Carolina to spend a week with us. The girls are good friends with their two girls so everyone is excited. My and their Mum are going out for a night in Vegas as well! e may end up with a tiger in our room #justsyaing. Ain’t going to be no problem with getting alcohol in Vegas. You can walk around the streets with it, I even saw someone walking around the Mob Museum drinking a beer at 11am!!! Ah Vegas. There is no place quite like you. 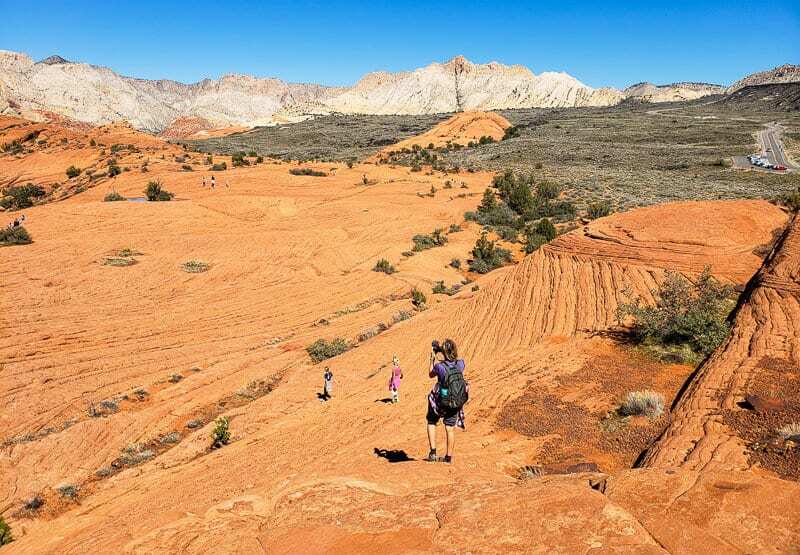 We do plan on visiting other places outside of Vegas like Red Rock Canyon and Valley of Fire State Park. Check out the video of Catalina State Park in Tucson and trying a tamale for the first time. 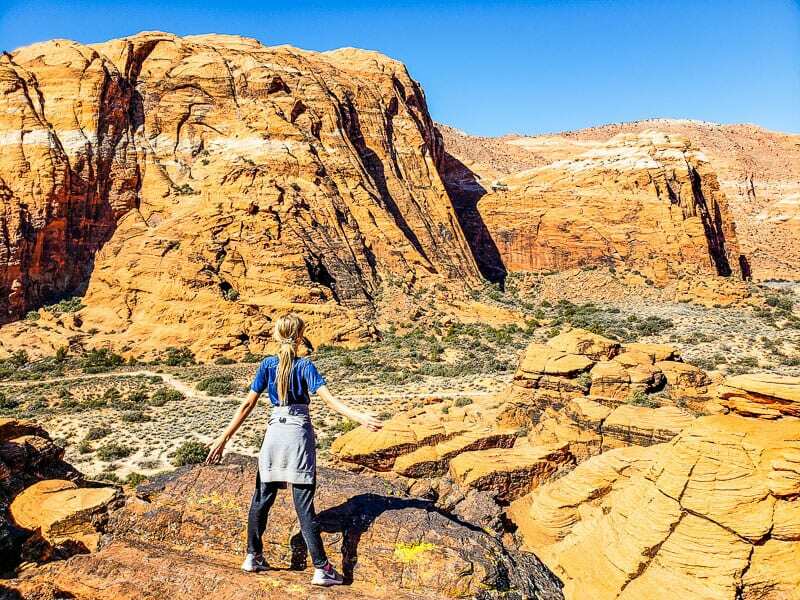 Glad you’re enjoying Utah, it’s such an extraordinary place. Every time I visit there I leave wanting to return again. 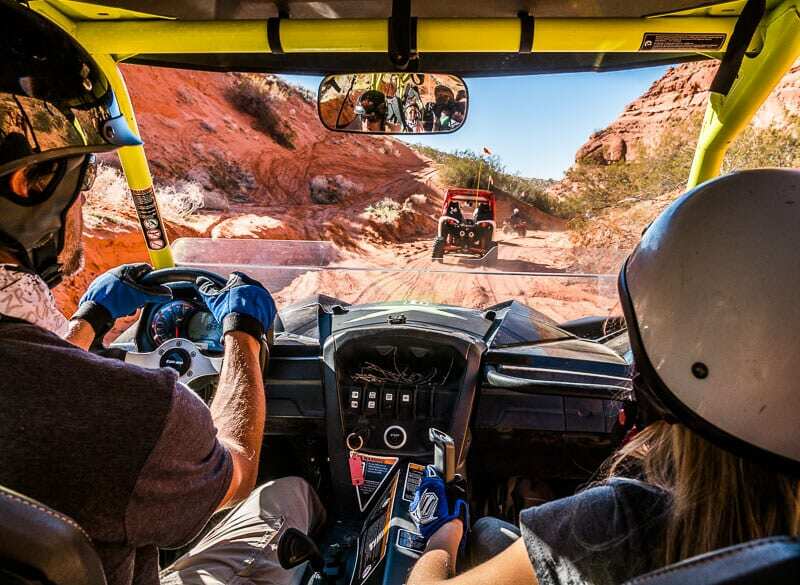 There is so much to see and do, I think you’ll never get bored. Have fun!